As we reflect on the outcome of the General Election, it is no coincidence that Jeremy Corbyn’s Marxist manifesto was popular amongst young people. Whilst many will agree that engaging young people in politics is positive, the factors which encouraged their engagement highlight a cause for concern. 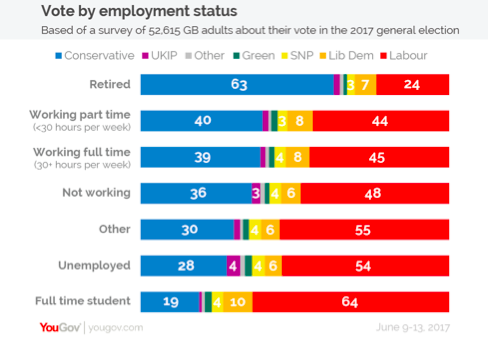 A post-election survey carried out by YouGov indicated that 66% of voters aged 18 and 19 (first time voters) voted for the Labour Party, a 47 point lead ahead of the Tories. This statistic is hardly surprising, given the long list of freebies promised by the Labour leader in the party manifesto. 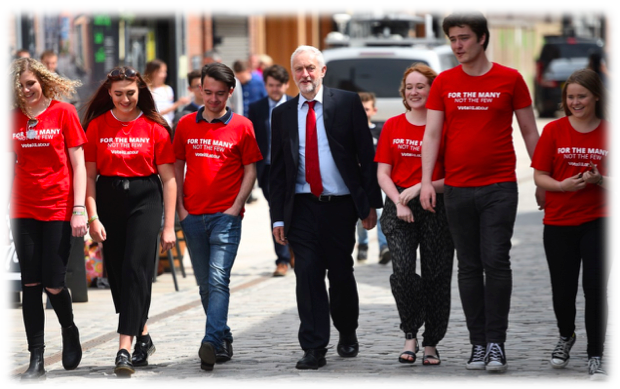 For me, Corbyn’s success in mobilising the support of young people, particularly students, demonstrates why lowering the voting age would be disastrous for Britain. 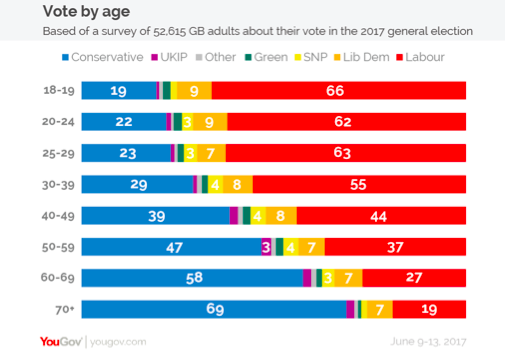 The party pledged to reduce the voting age to 16 in their election manifesto, and I have no doubt that had the vote been granted to this age group in this election, we would have woken up to a Labour government on June 9 – a horrifying prospect. The same post-election survey also highlighted that 64% of full time students voted for Labour. This is worrying because not only does it suggest that students were happy to vote for a leader who refuses to condemn terrorist organisations, it would also suggest that these students voted for Jeremy Corbyn with the belief that his long list of freebies were deliverable. Our nation’s youth made the mistake of voting for a party which pledged the impossible in 2010 – sadly; it became clear on June 8 that young people have not learnt this lesson because once again, they favoured pie in the sky politics. One method used by Jeremy Corbyn in order to gain the support of young people was to be interviewed by UK Grime artist JME. As you will see from the video below, JME states that his purpose in carrying out this interview was to encourage young people to vote in the general election. 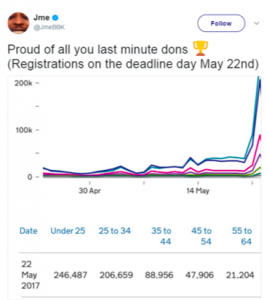 The interview served its purpose – on May 22 (the registration deadline), over 246,000 young people aged under 25 registered to vote in the 2017 general election. 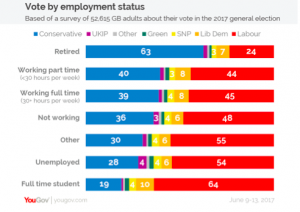 When combined with the previous YouGov statistics, it is arguable that this late surge in young people registering to vote played a significant role in the Labour Party’s electoral success with the youth demographic. Whilst JME insisted that his purpose was to simply get young people engaged in politics, we could argue that he was in fact endorsing the Labour leader when stating “we seem to be seeing someone that we can actually trust”. Of course, this was highly disputed by the Grime artist, who claimed that he was not endorsing any political party leading up to the election. 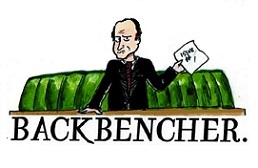 However, in the run up to the election, despite posting the manifestos of different political parties on Twitter, he did not interview any other political leader, signalling a sense of bias in favour of the Labour Party. On June 8, young people turned out at the ballot box in their droves in order to ensure their voices were heard, and quite rightly so. Since the age of 17, when I had the honour of representing my home constituency as a Young Leader, I have always been a strong advocate of getting young people engaged in politics. Before the rise of social media, many young people in Britain were unaware of the profound role politics plays in their everyday lives. From as young as 16, you can lawfully make life changing decisions such as joining the army, or even get married, and yet with such choices at their disposal, many young people are not aware of the mechanics of policymaking, and why politics plays an important role in all of our lives. 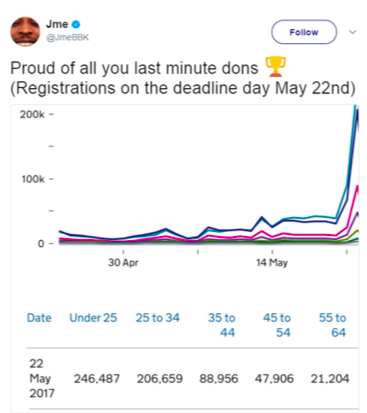 But despite this support, I believe the shock outcome on June 8 serves as a brutal reminder that Britain is simply not ready to lower the voting age. Some might say that the student vote in favour of the Labour Party was a protest vote, perhaps a Brexit backlash, others will say that this was an anti-austerity protest. Whatever reasons young people had for backing Labour, this up rise should be viewed as a warning as it seems that Corbyn’s Marxist ideology has found its appeal amongst Britain’s youth, and lowering the voting age in future elections could result in this ideology becoming Britain’s reality.